By Ashutosh KS in Mobile. Updated on November 26, 2017 . Virtual reality is an experience in itself where virtual becomes real. For example, with VR, you can experience movies rather than just watching them. With the growing popularity of virtual reality, different manufactureres have launched VR headsets in the market, each with its own special features. However, no matter how cool your VR device is, it can be enjoyed to its full potential only if you have the right content, which is, unfortunately, not easy to find. 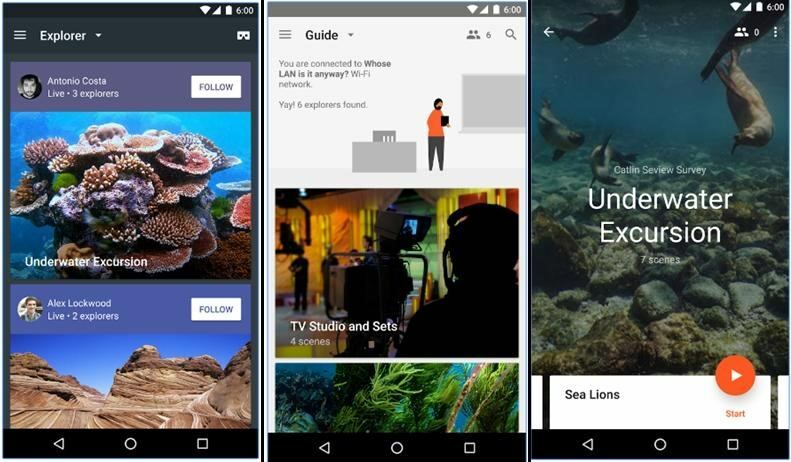 That’s why, in this post, I am showcasing the Android apps to give you the best content so you can thoroughly enjoy your virtual reality device. 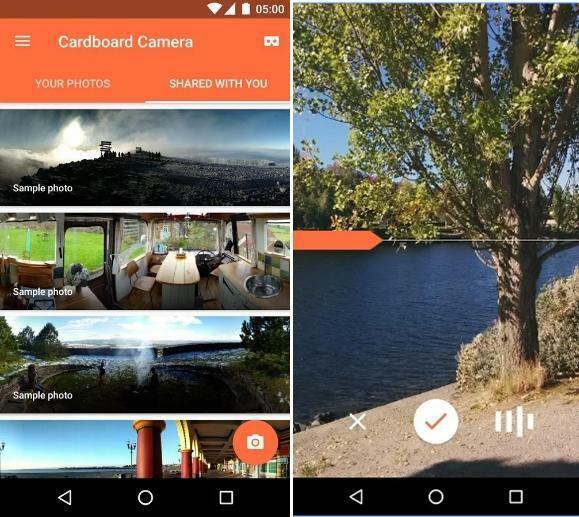 The must-have Google’s official Cardboard app is targeted at owners of Google Cardboard. Though the app is more a portal for apps and videos rather than a content store, yet it packs some experiences unavailable elsewhere. It’s a hub for VR games, apps, animations, videos and more. 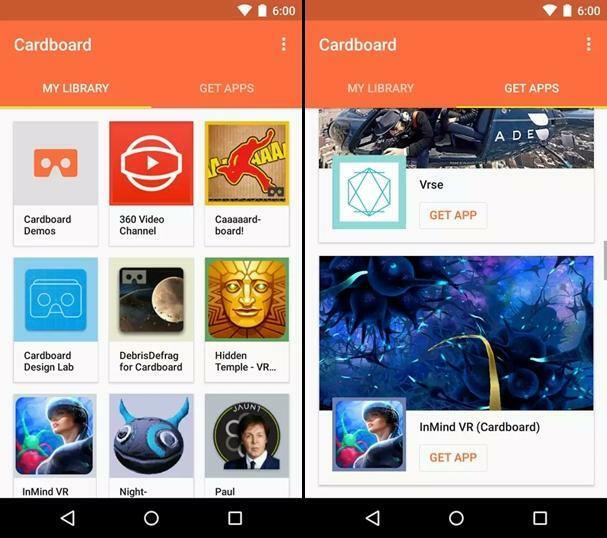 Cardboard app showcases a variety of virtual reality content from all over the web, and also lists and plays your own phone’s videos. Moreover, using this essential app, you also get quick access to the other VR apps installed and available on your Android device. Earth: Experience glimpses from Google Earth and glide virtually across various cities. Exhibit: View numerous cultural artifacts with info on different aspects of these objects. Tour Guide: Enjoy Versailles from the eyes of a local guide while relaxing in your bed. Photo Sphere: Explore the photo spheres captured by you on a big virtual screen. Arctic Journey: Fly around the Arctic, see the amazing northern lights and lots more. If you’re a YouTube fan with a VR headset, then this app is just for you. It allows you to experience YouTube videos on big screen using virtual reality. 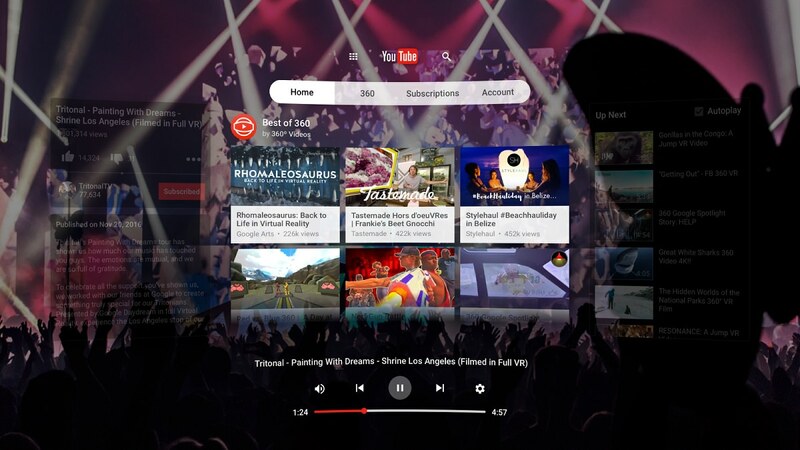 This app re-imagines YouTube as a 3D world and turns the whole platform into an immersive virtual reality experience. Thus the app lets you watch any YouTube video, channel and creator using a Daydream View compatible headset. Browse and watch every single video on YouTube in VR mode (supports 3D videos, 360 videos as well as standard, traditional rectangular videos). Browse and view videos and playlists from your comfortable, lean-back position as the videos stay in front and center in the virtual reality screen. Experience spatial audio while watching the videos where in depth and distance play a role depending on where you look, giving you a superb playback. Enjoy a single signed-in experience that allows browsing through your subscribed channels, favorite videos, playlists, watch history and more. 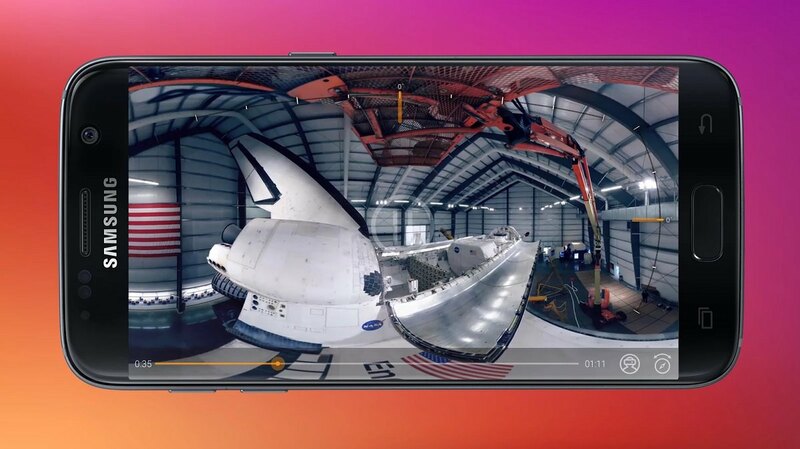 If you’re looking for a video player for 3D videos and virtual reality content, then VaR’s VR Video Player is the right app for you. It’s full of helpful features and is capable of playing a variety of VR content including 180° and 360° videos. With an intuitive interface and highly configurable player, it helps you enjoy a highly immersive virtual reality experience using just a Cardboard-compatible VR headset. 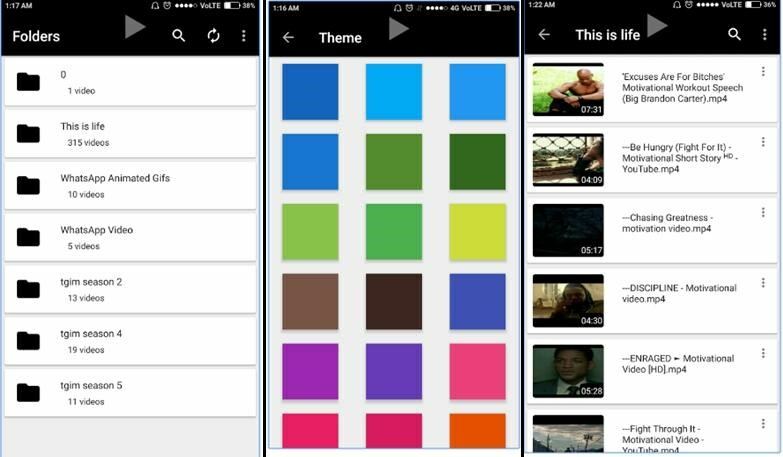 Plays numerous video formats including popular ones like full-HD MP4 videos. Lets you configure various display parameters such as eye distance, lens correction, zoom level, contrast, color saturation, and more. Supports various playback modes such as stereoscopic side by side, stacked, 180° and 360° videos, 180° or 360° panoramas and ordinary videos. Supports subtitles and auto-detects subtitle files (.srt). Features accurate head tracking for spherical videos, and static and float modes for non-spherical videos to provide you immersive virtual reality experience. If you love to explore new places, then Expeditions is an awesome app especially for you. Built by Google the search giant itself, it’s specifically a VR teaching tool to guide a group of explorers or a classroom on virtual trips. You can also use this app to join virtual trips from anywhere in the world. The app offers over 200+ expeditions, giving you a worthwhile experience using your VR headset. You can tour around numerous destinations, landmarks, landforms, waterscapes, and lots of other places in the universe including outer space. Choose from an ever-expanding offering of expeditions. Guide groups of locally connected people (friends, students, etc.). Explore with group of friends an immersive VR environment where the playback is synced across all people’s devices. Works without a VR headset wherein it shows you the expeditions in a 2D magic window (using a 360° mode). Internet connectivity is not required, if the guide has already downloaded an expedition and everybody is connected over same Wi-Fi network. Fulldive VR is a user-generated virtual reality platform that lets you access tons of VR content from across the web. It has a built-in VR video player and a VR browser to browse online content, and supports viewing VR videos directly from YouTube. 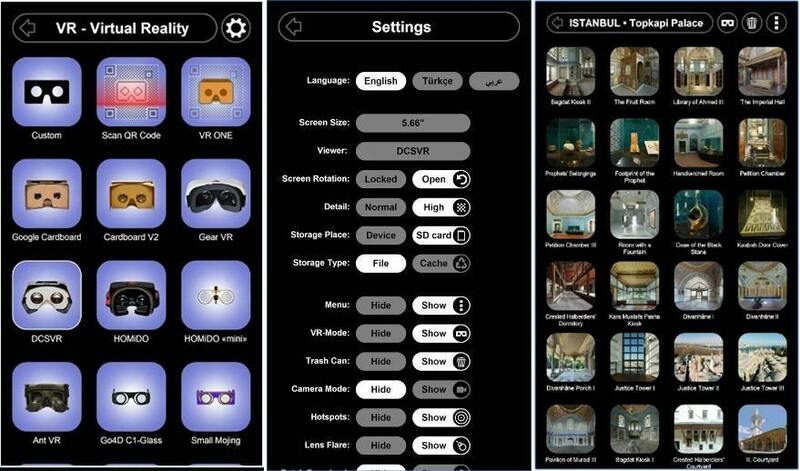 This app even provides a VR Camera feature to click virtual reality images, and offers a marketplace to explore and download VR images, games and apps. It also works as a social platform to follow your pals, share your favorite VR images and videos, etc. VR 360 Photo Gallery allows to collect, store and view 360° photos. Lets you search for new and popular apps, games and videos easily. Compatible with various VR headsets including Google Cardboard and Daydream. Do you watch Discovery channel on your TV? If yes, you already know that Discovery is full of interesting programmes showing you beautiful aspects of our Mother Earth. 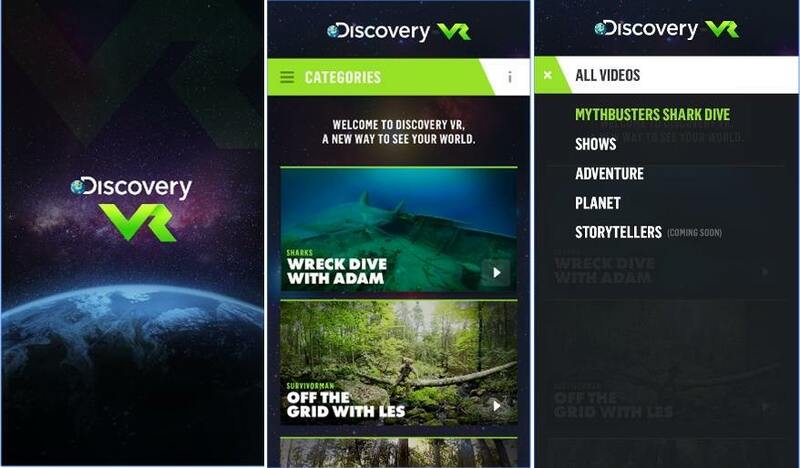 Discovery VR app brings the same awesome experience in the form of fascinating virtual reality stories. Exclusionary content from your favorite shows like Gold Rush, Survivorman, etc. Underwater explorations like the shark-infested shipwrecks. Experience dazzling festivals and ceremonies of our planet. If you wish to travel across the world and visit wonders of architecture right from your home, then check out Sites in VR. With this app, money and time constraints can’t stop you from following your heart to check out interesting places and monuments. It provides virtual tours of landmarks around various countries like Turkey, Egypt, Saudi Arabia, Morocco, Kuwait, Yemen, Macedonia, Belgium and France. Explore more than a thousand 360-degree panoramic images. Examine the marvels of Islamic architecture and visit mosques, tombs, palaces of sultans, museums, castles, parks, religious sites, ancient cities and more. Its 3D Panoramas feature projects normal panoramas on a distant sphere, making them as easy for you to watch as immersing in stereoscopic panoramas. 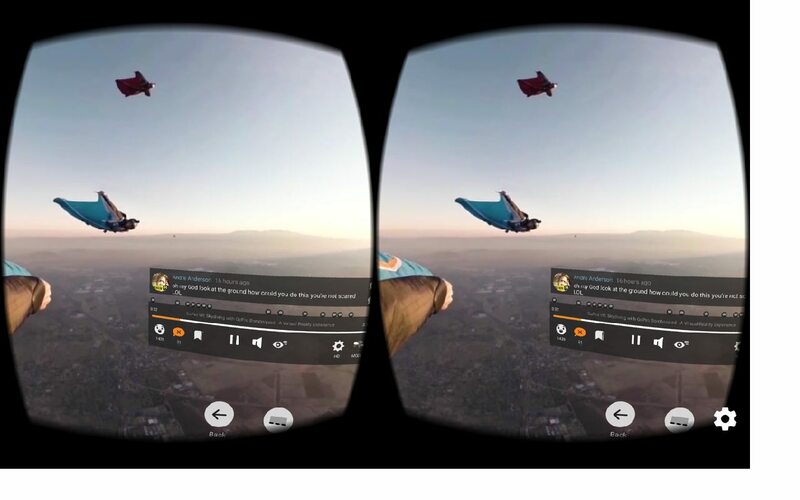 The app also works without a VR headset and displays content directly on your mobile, which you can move around to see the environment from different angles. VR Player is a very easy-to-use virtual content player. It creates an immersive and 3D side-by-side view for you to enjoy virtual content using a VR headset. It’s compatible with all types of Cardboard compatible headsets like VR Box and Google Cardboard, etc. Plays almost all the popular video formats including MP4. Supports displaying moving subtitles along with the VR playback. Works without gyroscope, hence works even with cheap phones. Enables you to take a snapshot of the VR content you are watching. If you own a Samsung smartphone then the Samsung VR app is your gateway to 360-degree virtual reality content. Its content is playable using your Samsung Gear VR headset and features numerous immersive videos and new content daily from biggest entertainment channels. However, do note that this app is compatible with Samsung devices only. Browse the continuously growing library of 360-degree video content. Discover, search, download and even upload virtual reality content. Play any video directly on your Samsung device without a Gear VR headset and explore the virtual world by moving your phone left/right or using touch navigation. This list is incomplete with the Google’s own Cardboard Camera. It’s one of the best VR apps for taking VR photos and building your own VR content. With this app, you can click 360-degree rotatable photos of your precious moments in life, making them ready to be re-lived any time, any where. The app uses your phone’s camera to take a three-dimensional photo via a panoramic circle around you. Moreover, you can add short narration or background sound for making the clicks more lively. These VR photos can also be shared with your friends and family members. 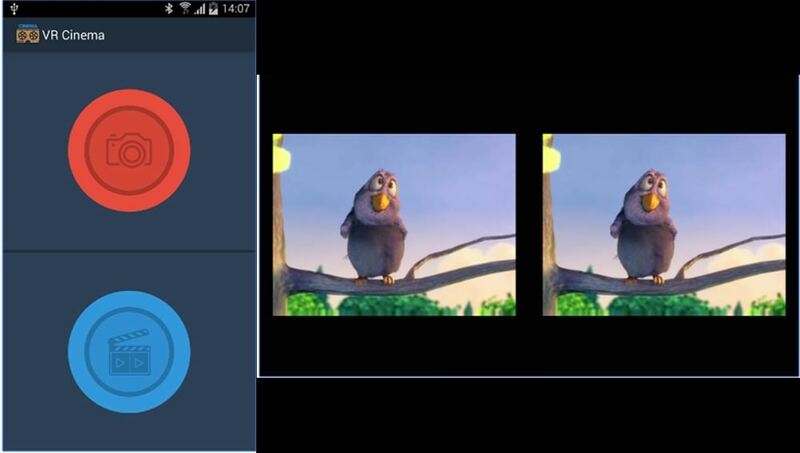 VR Cinema for Cardboard is a simple app that lets you enjoy movies and videos on any compatible VR headset such as Google Cardboard, Oculus Rift, Homido or others. 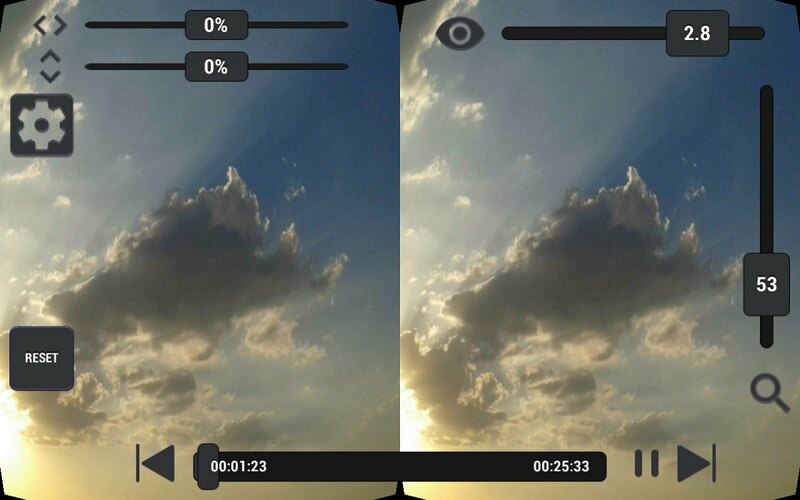 This app supports playing any MP4 video like virtual content using split screen mode, giving you an excellent VR experience. Moreover, this app also features VR Camera that helps you shoot VR videos using your phone’s front camera. Do you wish to experience some horror? 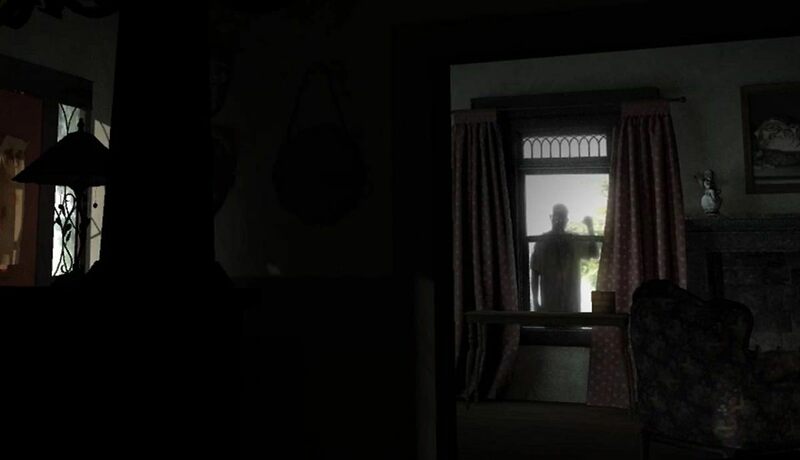 Inspirited from the film Insidious Chapter 3: Into the Further, Insidious VR provides a scary-full experience through the eyes and guidance of Elise Rainier (acted by Lin Shaye). From the very outset, it tries to frighten you to your every breath by making you encounter the horrors of the afterlife. However, this interesting, horrible experience can only be enjoyed on Cardboard compatible devices. Are you still waiting to try these apps? Just select your favorite one and download it now, and enjoy a package of virtual reality from the comfort of your home. And while experiencing all the fun using these virtual reality apps and your VR headset, please do remember to mind your body movements to avoid any possible mishappening. Which is your favorite VR app to enjoy without limits? Can you suggest some more interesting apps? Please don’t hesitate to share with us through the comments.